Launching a rocket into space requires a big effort on the ground. Space agencies have built up huge infrastructures to store, prepare and launch rockets. Let’s take a look at what’s involved on the ground at a place like Cape Canaveral. What happens before, during and after a launch. Fraser: Astronomy Cast Episode 161 for Monday October 26, 2009, Launch Facilities. Welcome to Astronomy Cast, our weekly facts-based journey through the cosmos, where we help you understand not only what we know, but how we know what we know. My name is Fraser Cain, I’m the publisher of Universe Today, and with me is Dr. Pamela Gay, a professor at Southern Illinois University Edwardsville. Hi Pamela. Pamela: Hey Fraser, how’s it going? Fraser: Good. Alright, so this week… launch facilities. Now launching a rocket into space requires a big effort on the ground. Space agencies build up huge infrastructures to store, prepare, and launch rockets. 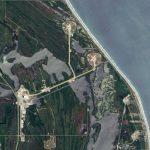 So let’s take a look at what’s involved on the ground at a place like Cape Canaveral… what happens before, during, and after a launch. So, Pamela, have you ever been to some launch facility? Pamela: I keep hoping, and I’m going to attempt to attend the next space shuttle launch for a NASA Tweet-up. Haven’t made it yet, but it’s my goal to make it while the space shuttle program still exists. Fraser: Me, either, and me too… I’ve never actually seen a rocket launch either… which is pretty sad. Fraser: Yeah… no, but we’re in this weird transition between the old media and the new media and the company I work for… me… doesn’t have the money to send me to actually cover rocket launches in person. So we have to do the next best thing, which is to report it all through the internets… NASA television and all that. Some day… actually, as you said, before the space shuttle stops launching in the next couple years I do aim to do that. My plan is to go and take the kids on a trip to Disneyworld and sneak out and go watch the shuttle launch. Pamela: That’s the perfect way to do it because if you schedule to go with the launch at the beginning of your vacation, and if the launch is delayed… you’re still in Florida. Fraser: Exactly. Sometimes you can fly down and it doesn’t launch… and it doesn’t launch again… and you could be there for the better part of a month hanging out in a hotel waiting for the shuttle to launch. Fraser: Yeah… or, I guess, work out of Florida… anyway… so that’s going to be my plan. So, let’s talk a little bit about that. What are some of the big launch facilities that maybe people have or haven’t heard of? Pamela: Well, there’s of course the Cape Canaveral, the Kennedy Space Flight Center, set of launch facilities. There’s actually two separate space facilities down there. There’s the Cape Canaveral Air Force Station and then the Kennedy Space Flight Center. These two different facilities… by name they’re really the same facility… it just sort of changed names. But if you’re looking it up, you have to keep it straight. They’re responsible for the majority of the US launches. Now, the cool thing is, it’s only the majority… it’s not all. Over time, we’re starting to get more and more launches spread out across the United States. So we also here in the States have the Mohave Spaceport, and then we also have Spaceport America in New Mexico. Pamela: That one hasn’t done manned launches… and that’s the thing… you have to separate which is manned and which is unmanned. So in terms of manned launches, it hasn’t gotten there yet, but Mohave has actually had a manned launch. Spaceport America is licensed to have manned launches once Virgin Galactic gets there. But for unmanned, we have all sorts of different facilities. Just here in the United States alone there’s the Mid-Atlantic Regional Spaceport in Virginia and the Alaskan Kodak Launch Complex, basically spanning the diagonal of America. Of course we’ve launched things from submarines, and things have gone up from New Mexico, as well, with White Sands and Spaceport America starting to have their launches. Fraser: Exactly. There is the sea launch facility that comes out of Los Angeles in this great big floating oil platform… it goes out to the middle of the Pacific Ocean and launches there. There is… of course the Russians have the Baikonur Cosmodrome… in Kazakhstan. Pamela: Yeah, the Jiuquon Satellite Launch Center. Fraser: Right, and they’re human launch, right? I mean they’ve launched the Chinese astronauts that have gone up so far. Fraser: So there’s a lot of places… so now the big thing that a lot of these things have in common is that they’re close to the equator. Pamela: Right. And that’s actually really important because when you’re throwing something up into orbit, it doesn’t have to go just up, but it also has to go sideways. You have to combine the two or you fall straight back down to the planet and go splat in a rather violent and not-healthy-for-the-people-on-board way…. unless you’re a SpaceShip Two and planning it that way. You can get as much as 465 meters per second… that’s almost half a kilometer per second… in horizontal velocity, relative to the surface of the planet, just by launching at the equator. This is where the French Guiana site is so amazing because it’s just five degrees north of the equator. Florida is good, but it’s not that good. Fraser: So you get to save fuel or be able to launch a heavier rocket just by being on the equator. I guess sea launch has the biggest advantage… they go right to the equator and launch right there. Pamela: Exactly. This gives them easy access to geostationary transfer orbits. It makes it easier, actually, to do any kind of orbit because you can launch at a variety of different angles to get your project directed in many different ways. You don’t have all those options when you’re launching from our northern or southern facilities. Fraser: So, if you want to build a launch facility, your first goal is on or as near the equator as possible. What else does a launch facility want to have? Pamela: You need to not have airplanes flying overhead. That’s actually one of the things that led to the selection of the two commercial spaceports that we have here in the United States, the Mohave spaceport and then the Spaceport America in New Mexico. The Mohave facility is located very close to Edwards Air Force Base which for a variety of primarily military reasons it is a no-fly zone from the ground up to unlimited altitude. So, they’re right next to a place that allows them to not worry about airplanes at all. They also have an area where supersonic flight is allowed. Here we do have a lot of restrictions against supersonic flight, just because it’s kinda bad for houses and windows and humans and things like that to have all sorts of breaking-the-speed-of-sound events going on all around them. Now a similar [situation] also exists for Spaceport America. It’s next to White Sands Missile Range. With White Sands you again have the no-fly zone, so we’re expanding areas with already-restricted flight, and it’s a little bit easier to get it through legislature and the FAA that way. Fraser: Right. For a place like the Kennedy Space Center, it’s on the coast, and they launch their rockets out over the ocean. You’re not going over populated areas and you can kinda control how many airplanes are going to be in the neighborhood when you launch. Pamela: And with all the other facilities here in the United States, not many people live in the desert, so Mohave and the Spaceport America are in a very limited habitation area. The one in New Mexico particularly amuses me because one of the cities, about 15 miles away, is Truth or Consequences. There’s just something sobering about taking your last meal in Truth or Consequences before getting on that SpaceShip Two flight into outer space. Fraser: Right. Ok, then on the ground itself… so let’s take a look at Cape Canaveral because that’s one of the ones that people are maybe most familiar with. What kinds of facilities will they have there? Pamela: Well, you’ll have a whole combination of different buildings that are needed. First of all, you need someplace just to assemble your rockets. All of the pieces come in, but any one individual piece… that could be an entire semi-truck all by itself… an entire freight train car all by itself. And then you have to put together these multi-story rockets… so you need a vehicle assembly building… a giant hangar. The one that we have down at the Kennedy Space Flight Center is perhaps one of the best-known buildings NASA has. It’s this giant warehouse-y structure that has this huge, larger-than-anything except perhaps the University of Texas state flag…. this huge US flag painted on the side of the building and a giant NASA meatball logo on the other side. This is a building that can open up to allow the entire space shuttle external rockets, solid rocket booster assembly on its little crawler to just roll out and roll all they way out to the launch pad. It’s a giant empty building with amazing winches, amazing cranes, and an amazing group of human beings working to put all the pieces together and check everything thoroughly before it goes out to the pad. Fraser: Right, and then they put the… once the rocket has been assembled, they put it onto that enormous crawler and it moves at like one mile per hour. Fraser: All the way out to the actual launch pad. So, what are the pads, then, about? Pamela: The launch pads have several different parts to them. There’s of course the giant gap beneath where the rocket, the space shuttle, the launch vehicle itself is sitting that they flood with water during takeoff liftoff, in part to try to dampen some of the acoustics and in part to try to prevent everything from melting. It’s really amazing because they just let in this huge deluge of water from right there on the ocean, and then the vehicle goes off, the water recedes, life is good. Then attached to this is also your launch tower so you can get astronauts all the way to the top of the craft… you can check all the aspects of the rocket prior to launch. What’s amazing is they can actually swing this entire thing away. The amazing part about NASA… and I’m going to keep using the word amazing because the scale is kind of shocking at times. You’re watching these giant, many-story-high buildings just fold away, roll away, roll down walkways, and this isn’t the type of thing you expect to see. We’ve all been wowed at different stages by… ooh, giant train car… ooh, giant elephant… all the things that we’ve previously thought of as big are tiny when you start looking at the things NASA plays with. There’s some amazing videos that we’ll have to find of people crawling around on the crawlers, human beings standing next to the entire assembly… it really gives you an amazing sense of scale and just how tiny we are compared to the structures we can build at times. The fact that humans can build not just rockets but buildings that roll… I somehow find that less amazing that we can build a rocket… that’s just chemistry. Fraser: I mean, isn’t the Vehicle Assembly Building one of the largest buildings… the largest building… in the world? Pamela: I don’t think it’s the largest building in the world, but it may be the largest building capable of opening that widely in the world. Fraser: Yeah, yeah… it’s monstrous. Ok, so then take me through what would happen on an average day… or over the course of a couple of days. All of the parts… let’s say you’ve got the space shuttle… the orbiter… is at Cape Canaveral. You’ve got the fuel tanks, you’ve got the solid rocket boosters, you’ve got the cargo… how does that all kind of come together and what happens next? Pamela: Well, in the assembly building, they can literally mate all of these pieces together. They build all of it vertically, so they stack together the different segments of the solid rocket boosters, they bring in the external tank and assemble it. They have giant cranes where they can pick up and move the space shuttle around as though it was a child’s play toy. There’s some great Omnimax movies that came out of the late ‘80s early’90s… “The Dream is Alive” is one of them… where you can see some of this going on. So, over the course of several weeks they’ll work to assemble all of the pieces, get the experiments that are going into space, get any satellites that are being launched from the space shuttle, all neatly packed away inside the cargo bay. They run through tests on all of the equipment, check over all of the tiles on the space shuttle and all of the insulation. Then of course they have to fuel it up… fill it up with food… each astronaut is allowed to select certain preferred food items. They each have their own little dietary line-up when they’re up in outer space. And little things like making sure the bathroom still works are more than a little bit important when you get to outer space. So they go through all of the doldrums of essentially building and rebuilding and building again all of these different rockets, all of these different space assemblies. When we move into the future, if the Ares I and other Constellation mission rockets continue to be funded by NASA, they have similar assembly guidelines. These are segmented rockets where you have multiple pieces coming in that have to be assembled. They’ll have different interchangeable crew modules, cargo modules, that can all get mounted on these different vehicles. So it’s always a new puzzle every mission… which parts get put together, which parts get shipped around the world and across the country to get everything we need up into orbit. Fraser: Right. So they’ll mate all that stuff in the assembly building, put it on the big crawler…. Pamela: And then at about three miles an hour, crawl it very, very slowly out to one of the launch pads. Kennedy actually has multiple launch facilities, and there’s some amazing images from right before the last Hubble servicing mission of having two different space shuttles out on the pad at the exact same time. That’s probably never going to happen again, but we might be able to look forward to the day when we have the Ares getting prepped on one pad while we have the space shuttle sitting out on the other, so we’ll be looking to a more diverse future. Now, there’s other things that are also going on. They put the poor innocent astronauts through quarantine prior to launch, so about five days before launch, the astronauts get shipped out from Houston, where we store our astronauts here in the United States, and they get put into quarantine just to make sure that they’re not carrying any bugs. The logic being that most of the things that will make you miserable… if you’re going to get sick… you get sick in less than five days. So fly the astronauts out… stick them in hiding… make sure they don’t have any bugs or anything to worry about. They also put them through all sorts of different tests. They test them in vibration situations… they test the rockets in vibration situations… they test-fire engines prior to launch…. there’s a whole variety of let’s check everything over and just try flushing the system out a couple of times. It applies to both the vehicles and the astronauts. Pamela: Yeah, it’s about 27 hours before launch that they start loading the cryogenic fuel and filling up the orbital fuel cell storage tanks… getting ready in preparation for launch. They procrastinate in doing this because it has to be kept under pressure… it can explode… and it really needs to be kept cold, so over time you can see what looks like steam. It’s actually gas going from liquid phase to gas phase coming out of these tanks. So, procrastinate as much as possible before fueling. Fraser: Right, I mean it’s filled with hydrogen and oxygen, you know, it’s a bomb. It’s a gigantic bomb sitting right there, right on the launch pad. Pamela: That’s entirely true. One I say T-27 hours, there’s actually a few holds built into the system, so it’s really over 30 hours prior to launch. So then at about T-19 hours, this is the point at which they start to make sure everything is in final prep. They disconnect the orbiter’s mid-body from the launch facility, they purge out the external tank’s nose cone, and they actually have built into the NASA website what’s happening during launch… at this point, they clean and vacuum the crew module. There are NASA janitorial or custodial staff out making sure that the crew compartment’s all ready at T-19 hours and holding. Pamela: Then at T-19 hours and counting… this is when they finally start the last propellant checks where they have the final preparation of the orbiter’s three main engines, make sure everything’s connected from the main propellant tank. This is where it starts to be ok, we’re going now… really ready. They fill the launch pad’s sound suppression system with water and get the clocks going again. This is the point where you start panicking over weather. At 11 hours, you have the weather briefing and the engineering briefing. Yes, we checked… everything’s working, yes we checked… there’s no thunderstorms, no hurricanes, nothing coming our direction. They also do a walk-through, making sure there’s no random debris on the pad… nothing there that could get blown up during launch… not exploded blown up but just blown to smithereens by the force of the rocket going off. Get the last bits of the flight crew’s equipment stored…. this is also where they move the rotating structure that’s part of the launch pad away from the space shuttle. This is one of the things that I think is so cool… this giant building rotating. This is also where they start turning on and activating all of the systems on the space shuttle… turning on the communication systems, turning on the measurement systems that are keeping track of everything on board the space shuttle. At 11 hours and counting, that’s when they activate the fuel cells and clear the blast danger area of all non-essential personnel. You shall go be in a bunker is basically the word of the day when they are at that point. This is also where they start purging the air out of all the different systems that need to be filled with gaseous nitrogen during launch. There’s a lot of volatile blowing away, cleaning up, just making sure everything is filled up with what it needs to be filled with and that there’s no stray bits of anything to be blown around. It’s a complicated process, and NASA has books and books and binders and binders of checklists that everyone has to go through. It just keeps going, each hour getting more complicated with more built-in holds. They hold again at T-6 hours. This is one of the points where they tend to do a lot of scrubbing of missions. This is where they’re doing the final mission management directive regarding weather… do they have to call it off due to thunderstorms or other problems. Fraser: And the weather is actually a pretty finicky thing… obviously they can’t have a big storm, they can’t have a lightning storm… and for anyone who’s ever been to Florida, that place is crazy with lightning. It’s very humid… lightning storms all the time. Pamela: And Florida is kind of beloved of hurricanes. Fraser: Yeah… but even just like really bad clouds can scrub the mission. Fraser: There’s a certain kind of weather that they want to have. Pamela: Well, they have to meet certain criteria. First of all, no lightning strikes… that’s just a bad thing. But beyond that, they also need it to be clear enough that the cameras can watch what’s going on, that the airplane flights that they have flying around… the military jets that are checking on everything have all the visibility they need, so it’s a combination of a need for visibility and a need for safety. If it’s patchy clouds, they’re perfectly fine to launch through the patchiness as long as there’s no lightning going on. They also need winds below a certain speed, temperatures above a certain temperature because of concerns over O-rings and icing, so there’s a whole load of different weather difficulties… all of which Florida likes to throw problems at them about. Pamela: At T-6, this is where we finally get all 500,000 gallons of cryogenic propellants on board, and finish filling the external tank with its full load of liquid hydrogen, liquid oxygen, we now have a bomb. But it’s prepared for a big controlled explosion. Finally at T-3 hours we have yet another hold. NASA is very fond of their holds, built into the whole countdown system which lies to you up until the final few moments… it’s not T-27, it’s not T-6… it’s T-a lot. But at T-3, that’s when things start getting interesting. That’s at the point where we have the external tanks on a steady, stable replenishment, filling…. we have all of the systems turned on, all of the tracking antennas going… prepped, ready to follow the space shuttle as it takes off. The final inspection team goes through and makes sure everything is ready to go. This is when they finally load the astronauts on board. The close-out crew proceeds to the launch pad and gets all the final configurations done. They have to assist the astronauts in because the astronauts are now required to be in full space suits… special space suits, but still full space suits during launch. This is where the televised weather briefing goes out on NASA TV, and where the flight crew get their own separate briefing, as well. Fraser: So, the astronauts are just sitting there on the shuttle for several hours, just waiting… I mean, I’m sure they’re doing some checks and you know… making sure their seat is comfortable, but really… they have to just wait for everything else to get organized. Pamela: It’s hours and hours… they get loaded at T-3 hours and holding… and that’s not the last hold of the mission. T-3 hours… and the holding is typically about 2 ½ hours in a perfect universe. So they get on somewhere in there, so they’re looking at between 3 to 6 hours of sitting there, in a perfect universe. This is the point where you no longer have any crew on the pad… it’s just the astronauts out there by themselves, sitting on top of a bomb, waiting for everything to take off in a nice friendly controlled manner that leaves them in outer space healthy and well-off with a space shuttle that’s healthy and well-off. They go through a final cockpit check… making sure all the switches are in the correct configuration… and everything they need is actually on board, which so far has always happened. They do communication checks, voice checks, make sure all their mics function. All of us who do podcasting know that you never know when your mic is going to decide it’s not going to work today. Then they get closed in and everyone retreats back to the fallback area except for the astronauts up on top of everything. And at T-20 minutes they hold again. Because that’s what NASA does… pausing for hopefully about 10 minutes. Sometimes a lot longer. This is where they do the final team briefing. Ok, everyone ready? Everyone hopefully yells out “check.” They run a final assessment of all the preflight alignments, making sure all of the measurements off of all the instruments are fine, and then they start counting again. They check the ventilation vents, they close everything out, they transition from the back-up flight system to the launch configuration. Then they stop again at T-9 minutes. If I didn’t mention it already… NASA likes to hold. The final T-9 minutes is where they do the final go or no-go. Once they make it past that, they start the final automatic ground launch sequencer. The computers pretty much take over at that point… it’s a very automated system. At T-7 minutes and 30 seconds we have the orbiter arm retracting. At T-5 minutes we have the auxiliary power units turning on. At T-5 there’s also the solid rocket boosters… their safety and arm devices all get engaged. Then you start all the orbiter air-surface profile tests, making sure all of the engine gimbals work, making sure everything really is ready for a controlled take-off. That’s happening at T-3 minutes 55 seconds. Then they start retracting the oxygen vents, or the beanie cap, off of the external tank. That’s at 2 minutes. At 50 seconds they transfer from ground to internal power, and that’s one of the moments we’ve all experienced on an airplane where everything goes beep and the lights flash. It’s a little bit more sophisticated on the space shuttle, but that’s the point they’re at then. At 31 seconds, it’s auto-sequence start, and that’s when it’s really all go, with the sound suppression systems coming in at T-16 seconds. Main engines igniting their burnoff system at T-10 seconds. Main engine start at T-6.6 seconds. Once you build up all the pressure, at T-0 you have the solid rocket boosters ignition and liftoff. That’s the moment where everyone starts holding their breath. You’re panicked up until then, but once they take off… only once all the engines are done burning and they’re up in orbit that you can fully breathe happily after that. Fraser: And if you want to hear a pretty compelling story or account of a shuttle launch, we’ve done another episode just on the space shuttle. Although Pamela and I didn’t go, we sent one of our reporters, Scott, to report on what he saw on the shuttle launch. And I believe he was a changed man after he saw that. Pamela: Yes, yes he was. Pamela: Well, hopefully, soon enough, you and I will have our own stories to tell, and you’ll be able to tell it through the eyes of your little kids, which will be amazing. Fraser: Perfect. Now, just one thing, though. Now, after the shuttle has completed its mission, it then lands again, right, back at the Kennedy Space Center. Pamela: In a perfect world it lands back at Kennedy. Occasionally it ends up landing at Edwards Air Force Base out in California, but they prefer not to do it because Edwards has a woodpecker problem, which sounds rather odd. The woodpeckers like to peck at the tiles on the space shuttle and make little happy nests in the insulation which is not really good for the space shuttle. They can also land at White Sands and that’s again not so good because there all the sand can damage the space shuttle. Fraser: Yeah, and it also just costs a couple of million dollars just to fly it back from the other side of the country on top of a 747. They prefer to keep it landing in Kennedy and they can just roll it back in and assemble it for the next launch. Pamela: And what’s cool is, looking towards the future with SpaceShip Two with Virgin Galactic, they’re also looking to launch and land at the exact same facility, in this case Spaceport America which is next to White Sands Missile Arsenal. Fraser: Right, and that’s kind of different than for example the way the Russian launches happen with the Soyuz rockets. They don’t land on a landing pad, or runway, the way the shuttle does. They just land in the steppes near the launch facility… with a parachute and land right on the ground. Pamela: Right, and as we move forward with the Constellation, the Constellation is going to have a similar parachute-enabled landing. I’ve seen both water and ground and it’s NASA… I’m not going to make any bets on which one it’s going to be until they day they decide to land. But we’re moving back to a capsule-based NASA-powered future. But with the commercial agencies, we’re still looking at having the horizontal landing… which is just much more humane in some ways. Fraser: Alright, well, thanks a lot, Pamela. And we’ll talk to you on the next show. Pamela: Sounds great, Fraser. I’ll talk to you later. Grt podcast once again. I think you guys forgot mentioning ISRO’s launchpad in India. It has two launch pads and they are constructing a third one. How about a podcast about space agencies around the world? Sounds like a mulit-part pod-casting opportunity!